The Caen Memorial was established in Caen, France, in 1988. Regarded as the best World War II museum in France, the Caen Memorial provides a thought-provoking meditation on the evils of war, the importance of learning from past failures and successes, and the difficulty but necessity of finding lasting peace. 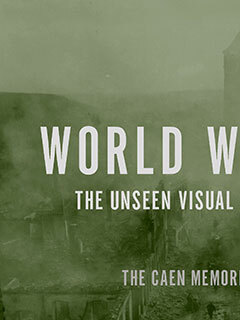 Its book World War II: The Unseen Visual History (The New Press) was first published in France as Guerre mondiale—Guerre totale in May 2010 to accompany an exhibit of the same name.